Queen and The Beatles favored the AC30! 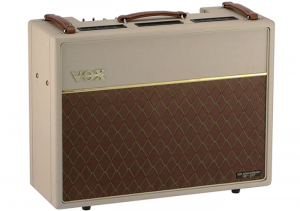 Vox amplifiers started their production in 1957. The AC15 and AC30 quickly took the world by storm as they were the choice of most bands part of the ‘British Invasion’. The Beatles even used Vox amps in their legendary last American gig, football-sized stadium and one AC30 each. Apparently modern touring was invented fifteen minutes after that gig! The AC30 might not be able to handle a football stadium on its own but make no mistake, this amp is loud! Matchless, Komet, Trainwreck and many other amps are based on the original AC30 design. Matchless was even known as the ‘AC30 that won’t blow up’. The list of players that have used the AC30 is long and includes Brian May, Jeff Beck, Joe Satriani, John Jorgensen and of course The Beatles. The sound of Fender and Marshall amps might not be difficult for you to imagine, but what does a Vox sound like? Why should you consider an AC30? The Vox has a sound that might not seem like the ultimate guitar tone when you first plug it in but in a band, it always cuts through. The AC30 also loves pedals, especially boost pedals. It’s a working man’s amp, it always delivers and very few players move on after they’ve finally tried an AC30 in a gig. Feels a bit like coming home. Today the AC30 range is better than ever. Vox now offer the brilliant single 12″ model, a lightweight and great sounding amp. The Reverb is easy to set, it’s got a great tremolo and obviously, that great Vox tone. The standard 2 by 12 AC30 has an option of different speakers, the Blue Alnico being slightly more expensive but well worth it. Should money not be a problem, have a look at their hand-wired range. Vox budget range uses digital technology but they refuse to give up the valve concept and were the first manufacturer to include a valve in the preamp section. Vox managed in this way to challenge Line 6 for the bedroom, all included, amp concept. Their latest edition, the Amplug is simply a jack with a built-in amp, Vox gave up on including the valve in this one, but they did win the pocket size category! Vox invented the wah-wah pedal as an effect similar to that of the muted trumpet. 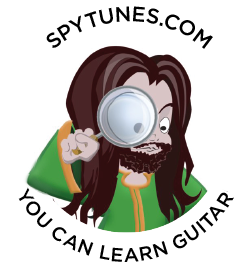 When Jimi Hendrix got hold of this device things were taken a bit further, Voodoo Child (Slight Return) made every guitarist in the world want one.